Or not. It snowed here overnight. 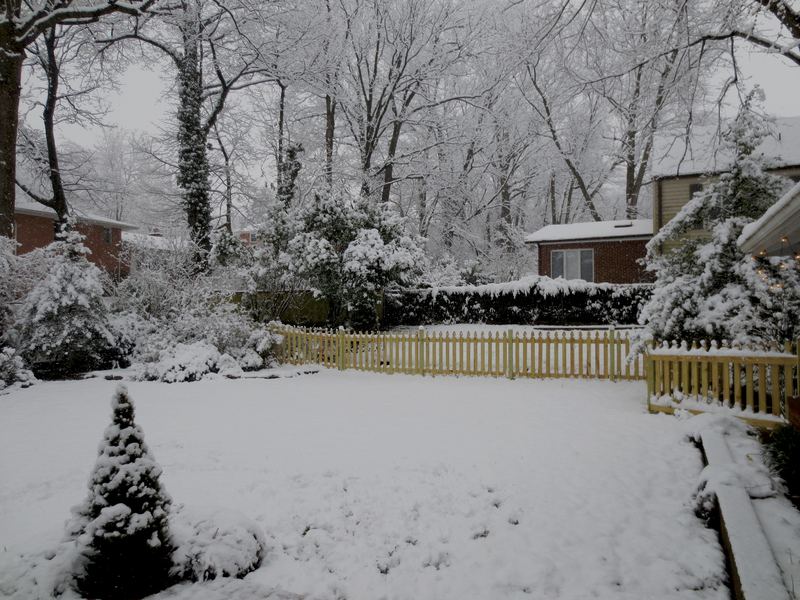 It’s the most snow we’ve seen all winter spring. Some kids in the area didn’t even get a snow day because they are, get this, on spring break! Anyway, this post isn’t really about our sucky our weather. It’s about how we’re jumping into spring whether the weather wants to join us or not. We’ve got several outside projects going that I’m going to bring you up to speed on this week, but first we talk food. I joined a CSA. Yes, I know you can probably smell my smug. I’ve been wanting to do this every year since we moved here but never got in gear enough to research and sign up before they start/sell out. So this year I made eating healthier and more local a resolution. And just like blogging, I’m kinda sticking to it. I started buy our milk here. They sell Trickling Springs milk which is delicious! I’ve been buying protein from a local butcher and now I’m getting a CSA of produce every Thursday. I liked that it was just one brown grocery bag and not a huge box. This week’s bag came with spinach, radishes, beets, watercress, kale, romaine, new potatoes and eggs. I meant to take a picture of everything before I washed it all and put it away, but I forgot. However, as I use the items this week, I’ll be posting about what I did with them. 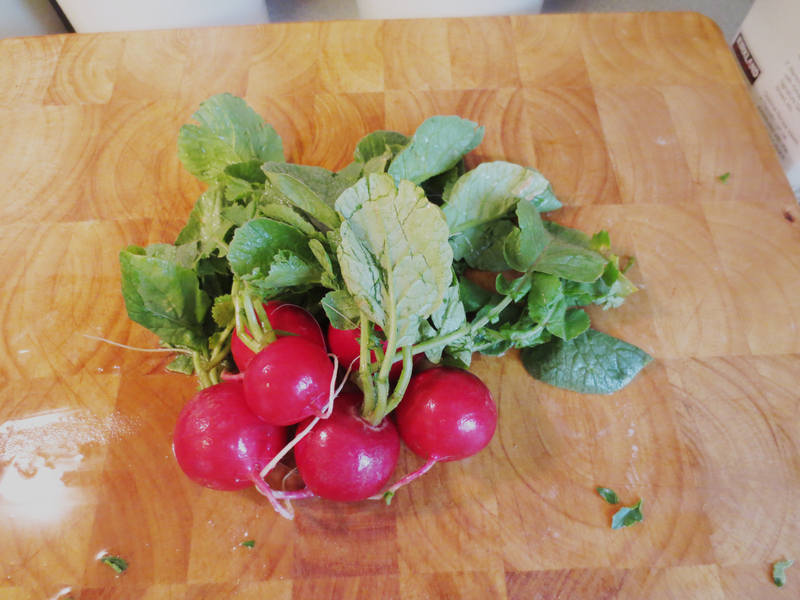 I’ve already used these delicious radishes to make a little mid-day snack. 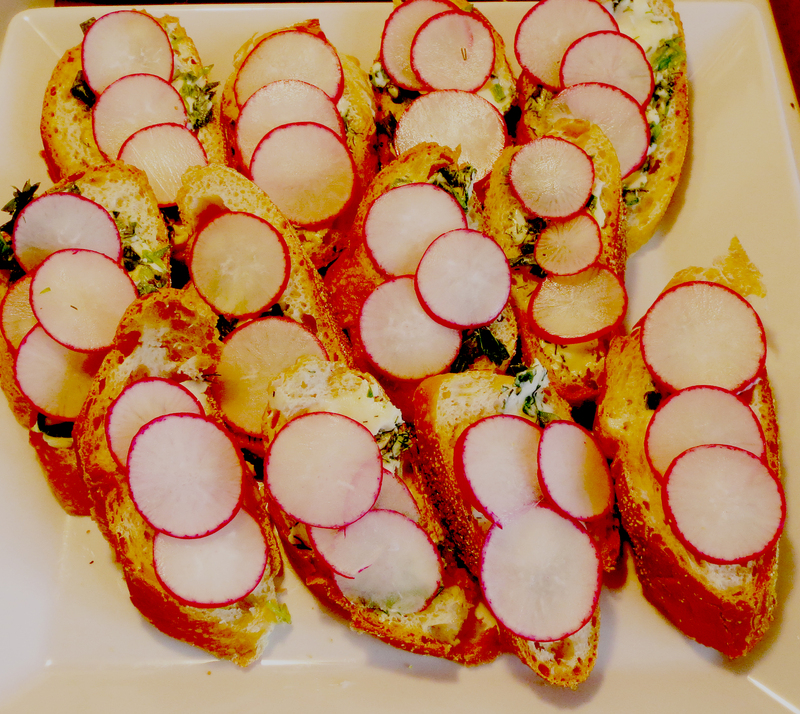 I also used the watercress to make this soup. I served it to Mark yesterday after he’d been working outside all day in 38 degree weather and although it didn’t contain any meat, he ate it and took some for lunch today. Operation Vegetable is in full effect! Mark doesn’t eat beets so I roasted them, peeled and chopped them up for me to put in my lunch salads this week. We ate the eggs for breakfast and I put two into these yummy BC cookies. Stay tuned for what I do with the rest!